You are currently browsing the tag archive for the ‘drought-tolerant plants’ tag. Rhus integrifolia, the Lemonade Berry’s leaves are simple (unusual in a genus where most species are trifoliate), alternating, evergreen and leathery, ranging from two to four centimeters wide on reddish twigs; length of leaves is five to seven centimeters. Leaves are toothed with a waxy appearance above and a paler tone below. The flowers which appear from February to May are small, clustered closely together, and may be either bisexual or pistillate. These fragrant flowers exhibit radial symmetry with five green sepals, five white to rosy-pink petals, and five stamens. The small flowers are only six millimeters across. The ovary is superior and usually has a single ovule; although in pistillate flowers, the stamens are small and infertile. The mature fruit of Rhus integrifolia is sticky, reddish, covered with hairs, and about seven to ten millimeters in diameter. The elliptical fruit presents tight clusters at the very ends of twigs. Young plants manifest smooth reddish bark, while more mature individuals have cracked, even scaly, grayish bark with the smooth red bark displayed underneath. Twigs are rather stout and flexible, and reddish bud ends are diminutive and pointed. There is often a multi-furcate branching structure from the base of the plant. A mature plant is large and thicket-like with a sprawling arrangement. Notice how many painting cues for color and structure are in that entry! It also tells me when it flowers. Very useful and free information! Next, if I hit “images” for lemonade berry – bingo – what a selection! The following is a list of California Native plants and their drought-tolerant adaptive strategies, compiled for us by Jennifer Funk, Assistant Professor of Biological Sciences, School of Earth and Environmental Sciences, Schmid College of Science and Technology. 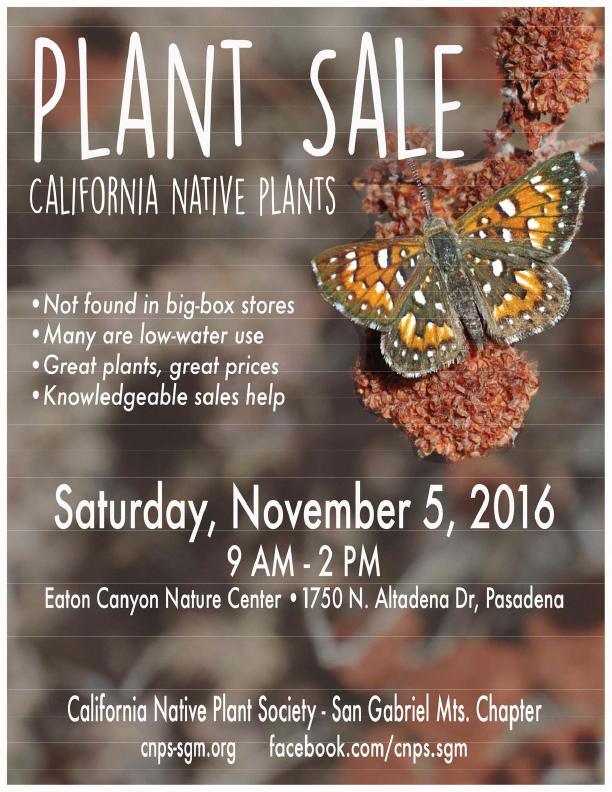 Please keep in mind that the exhibition is open to any drought-tolerant plants from around the world, not just California natives! This list was handed out at a BAGSC Quarterly meeting earlier this year. Future articles on the blog will list characteristics of drought-tolerant plants. Let us know your questions, or any future articles you would like to see on the blog about drought-tolerant plants.